Bowery Electric, "Blow Up / Electro Sleep"
Above everything else, Bowery Electric are dedicated to one thing - pushing their music forward. Beat, their second full-length from Kranky found Bowery Electric experimenting with sampled beats and analog synthesizers to expand beyond the wondrous drones of their first self-titled LP. The new 12" on Happy Go Lucky shows the same forward progression. 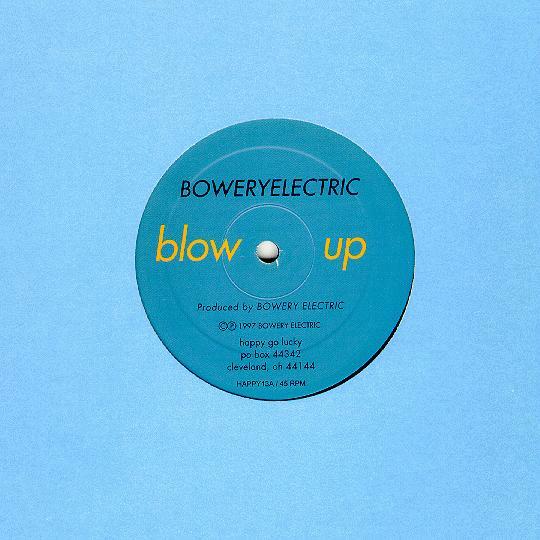 Consider this 12" a bold step forward and a taste of what's to come from Bowery Electric.